When it comes to tracking down the best in bubbles, it's worth taking a little time to navigate the regions and grapes that lay the foundation for sparkling wines throughout the wine world. The term sparkling wine broadly refers to all categories of bubbly wine. These lively, effervescent sparkles are simply carbon dioxide that's been trapped either in the bottle or in the vat during the fermentation process. While Champagne is typically the first bubbly that comes to mind, the word "Champagne" only refers to sparkling wine made in the well-defined winegrowing region of Champagne in northeast France. Most international wine regions produce their own delightful renditions of sparkling wine. In the New World, the United States remains on the forefront for crafting a range of sparkling wine options that run the gamut from straightforward, tasty, refreshing bubbles to producers that have an eye on Champagne for inspiration in terms of intensity, profile, and elegance. Most often built on the back of Chardonnay and Pinot Noir grapes, American sparkling wine tends to steer towards fresh fruit aromatics and lean a little less on the mineral-driven, chalky character of classic Champagne. The difference is due to the dramatic disparity in the sheer amount of sunlight the grapes in California capture compared to the cool continental climate of Champagne. Though it doesn't take long to notice the number of French-themed name influences on the California wine scene, many Champagne houses have bought dirt in Napa and Sonoma to give New World bubbles an Old World flare. Italy's sparkling wine darling - light, white and ultra-fresh - Prosecco hails from the hills of Veneto in northeast Italy, just north of Venice. Typically labeled (and loved) in a dry and lively flavor profile lean heavily into citrus, apples, pears, and melon sometimes with a subtle floral nature. While the bubble factor doesn't carry the elegance or endurance of a true Champagne, Prosecco generally undergoes its second fermentation in a stainless steel tank, known as the charmat method, instead of the traditional method of Champagne. Almost always under $15 a pop, this fun and festive bottle of bubbly aims to please value-minded consumers and easy going appetizers, prosciutto, and melon being among the classics. The quality to price ratio of Spain's sparkling wine, known as Cava, is unsurpassed. Often available for under $10 a bottle, Spanish Cava is made in the traditional method of Champagne (where the second, bubble-trapping fermentation takes place in the bottle instead of a tank) with the local white wine grapes of Xarel-lo, Parellada, and Macabeo. 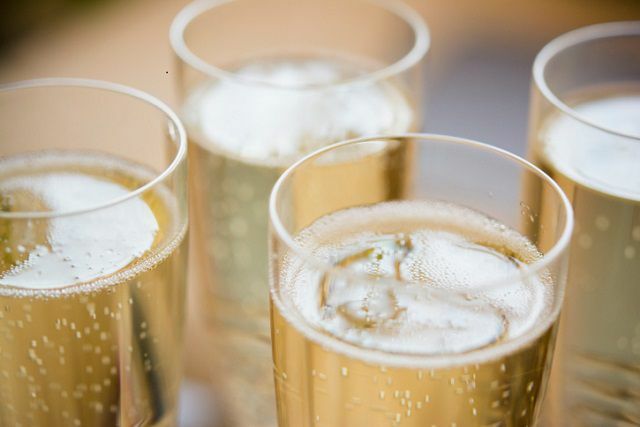 Generally carrying a light to medium-bodied profile, dry to somewhat off-dry in terms of sweetness and lots of lively, food-friendly acidity, Cava is the perfect summer sipper or value-priced wine for wedding toasts. Showing some similarities to Champagne in terms of time spent on the lees (the spent/dead yeast), which offers creamy textures, fresh-baked bread aromas, and an added depth, Cava will also spotlight almond notes, citrus, and apple additions along with some mineral-driven nuances. With a variety of entries into the prestigious sparkling wine category, Champagne comes in both vintage and non-vintage versions as well as in rosé styles. Made from three grapes: Chardonnay, Pinot Noir, and Pinot Meunier, Champagne shows some serious acidity and typically a dry style, though sweeter demi-sec versions may be found. Chalky soils make their way into the wine where chalk-like character, apple, fresh bread, citrus and sometimes a subtle smokiness, along with nutty aromas and toasted notes make their debut in the finished wine. Champagne is only Champagne when the grapes are grown and the wine is made in Champagne, France, which lies about an hour and a half northeast of Paris. Pricey plots of land, a fickle growing season, and a stellar reputation all play into the elevated price point of most true-blue bottles of Champagne. Often starting at $35 to $40 per bottle and rocketing up from there, Champagne makes no excuses for its higher price tags or sought after status.